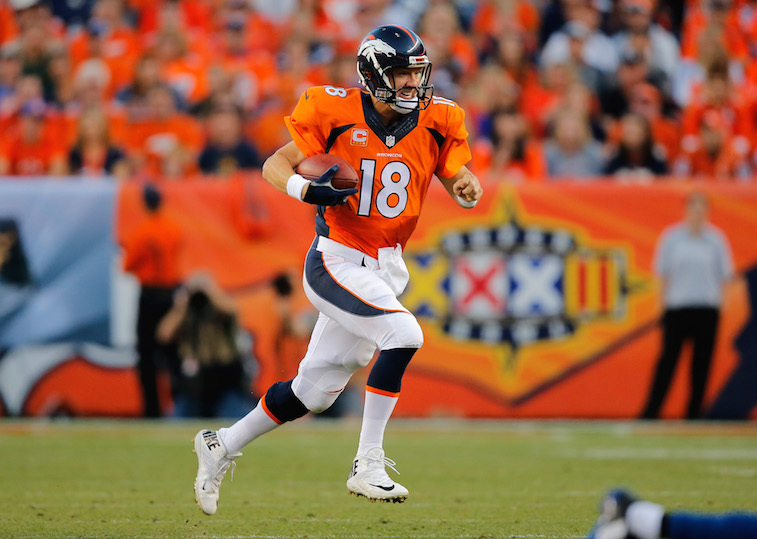 NFL: Will a New Strategy Help the Denver Broncos Recover? If there were an annual award in the National Football League for being the most disappointing team of the season, the Denver Broncos would have taken the cake in 2014. One year after winning the AFC title in 2013, the Broncos, with what most people viewed as a superior roster to that of the 2013 squad, went into a late season tailspin en route to being upset at home by the Indianapolis Colts in the Divisional round of the AFC Playoffs. Following a shocking upset loss at the hands of the St. Louis Rams in Week 11, the Broncos never again looked like a dominant team, and several of their more talented players actually appeared to be doing nothing more than going through the motions throughout the latter half of the 2014 season. To the surprise of few, the team decided to part ways with head coach John Fox, who is now the head coach of the Chicago Bears, following their playoff loss to the Colts. The departure of Fox also led to the departure of offensive coordinator Adam Gase, who followed Fox to Chicago, and defensive coordinator Jack Del Rio, who is now the head coach of the Oakland Raiders. 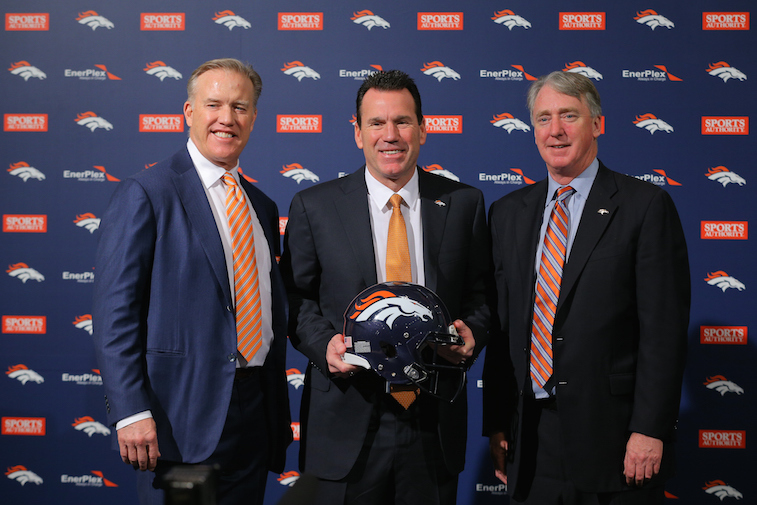 It’s hard to imagine replacing a staff that led the Broncos to a 38-10 regular season record, three AFC West titles, and one AFC Championship over the last three seasons, but that’s exactly what happened in Denver this offseason. As it turns out, Broncos Executive Vice President/General Manager John Elway, who happens to be one of the most competitive individuals in NFL history, didn’t completely see eye-to-eye with Fox on multiple personnel issues. The lack of chemistry with his former head coach, and three straight seasons of failing to live up to expectations are ultimately what inspired Elway to shake things up throughout the organization and make a coaching change. The man Elway handpicked to be the team’s next head coach was the same man who had backed him up for nine seasons during his playing days in Denver, and the same man who served as his offensive coordinator when he was leading the Broncos to back-to-back Super Bowl titles in the late 1990’s. That man is Gary Kubiak (pictured above, center). 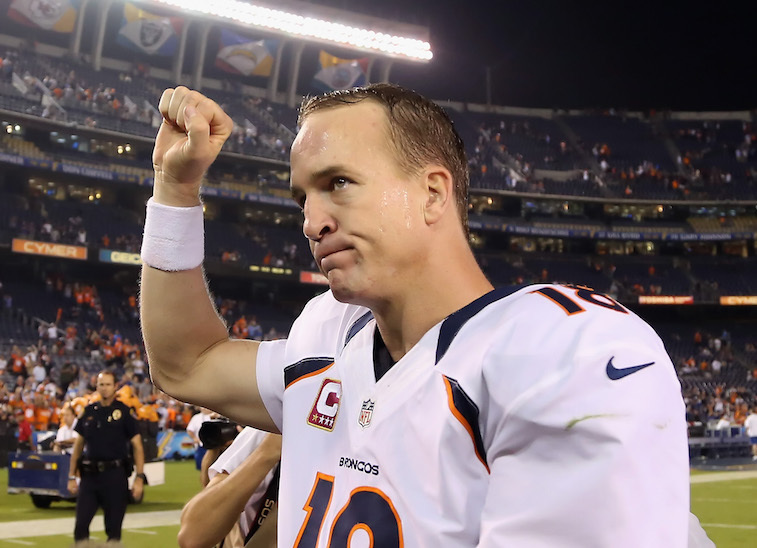 Speaking of Manning, it is no secret that his health became an issue towards the end of the 2014 season. Keeping him healthy for the entire season is one of the Broncos’ main goals for 2015. In past seasons, Manning has been the type of player who takes about 99 percent of his team’s quarterback reps in practice. This year, the 14-time Pro Bowler will reportedly be taking entire days off from practicing, and will likely see minimal time during the team’s upcoming slate of preseason games. If Manning is 100 percent healthy by the time the postseason comes around, the Broncos will look like geniuses for implementing this new approach for managing their quarterback’s workload. On the defensive side of the ball, the team is expected to be far more aggressive in 2015 in new defensive coordinator Wade Phillips’ 3-4 scheme. Phillips was clearly not cut out to be a head coach in the NFL, but there is no denying his success as a defensive coordinator. And in Denver, he will have the added benefit of working with arguably the best pass rush duo in the league in outside linebackers Von Miller, who may have the quickest first step in football, and DeMarcus Ware, who excelled in Phillips’ scheme with the Dallas Cowboys. Given the combination of the personnel he has to work with and his aggressive nature, we would be completely shocked if the Broncos don’t have one of the top five defenses in the league with Phillips at the helm. There has been a complete change in culture for the Broncos this offseason. In addition to everything we’ve discussed above, Kubiak has done things like push the start of training camp practices back to 10:00 a.m. after studying the effects of proper sleep patterns on athletic performance, and made developing the team’s young talent a high priority. Only time will tell if this reunion between the Broncos, Elway, and the team’s new coaching staff will prove to be the right move in their efforts to bring a third Lombardi Trophy to Denver. Nonetheless, by the end of the 2014 season, it had become painfully clear that the Denver Broncos were in desperate need of a different approach to getting the job done.